Due to the overwhelming expansion of wildlife populations across the state, many homeowners and property managers are faced with the dilemma of wildlife infestations and subsequent damage. Since most people do not have the expertise or training to deal with such circumstances, the need for an integrated wildlife management company becomes necessary. A wildlife management company has the knowledge and equipment to safely and humanely deal with a wildlife program. Many health and safety issues found with wild animals, such as disease (rabies, histoplasmosis), external and internal parasites (fleas, lice, ticks, roundworms, etc.) are best handled by trained and licensed personnel. In addition to solving your animal problems, Lake Wildlife Control can address the issues and correct the conditions that led to your wildlife problems. Bat Colony removal, exclusion, clean-up and repair. Installation of our own chimney caps, vent screen covers, and mushroom fan covers. Pest Bird Control (pigeons, sparrows, starlings, geese). Dead animal pickup and removal. Sanitation: animal feces, nesting material, and debris removal. Why choose Lake Wildlife Control for service? Targeted positive trapping for target animal. We solve the problem and can prevent re-occurrence. We provide a written warranty on materials and labor. 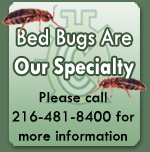 Technicians licensed by the Ohio Division of Wildlife and Ohio Department of Agriculture. Bat removal and exclusion experts. We custom manufacture our own chimney caps, screens and animal guards. In addition to solving animal problems for homeowners, Lake Wildlife also provides service to municipalities, county, state, and federal government agencies, and to commercial properties and developments.